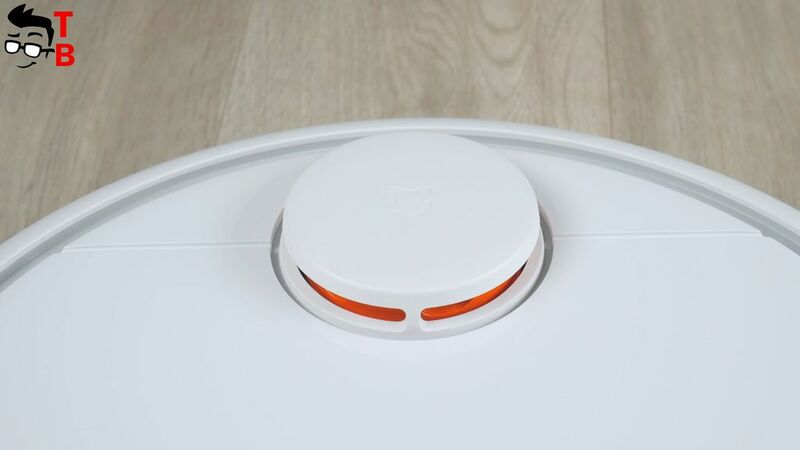 Xiaomi Mi Robot Vacuum Cleaner 1st Generation REVIEW: is it really as good as everyone says? Today I have another review of vacuum cleaner. 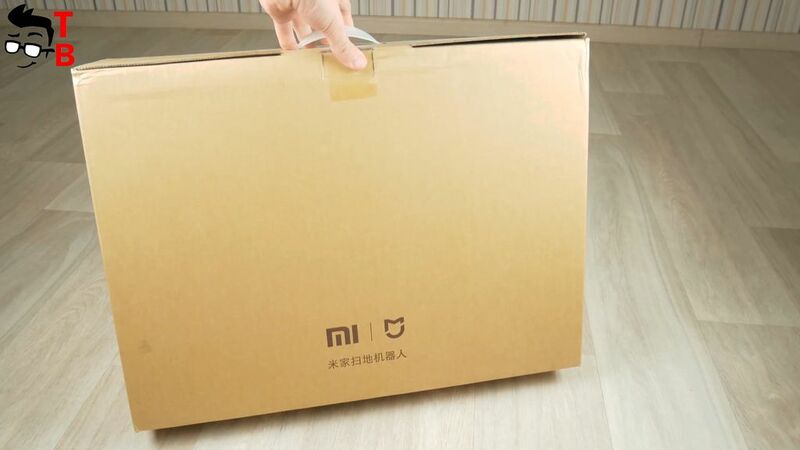 This time it is Xiaomi Mi robot. 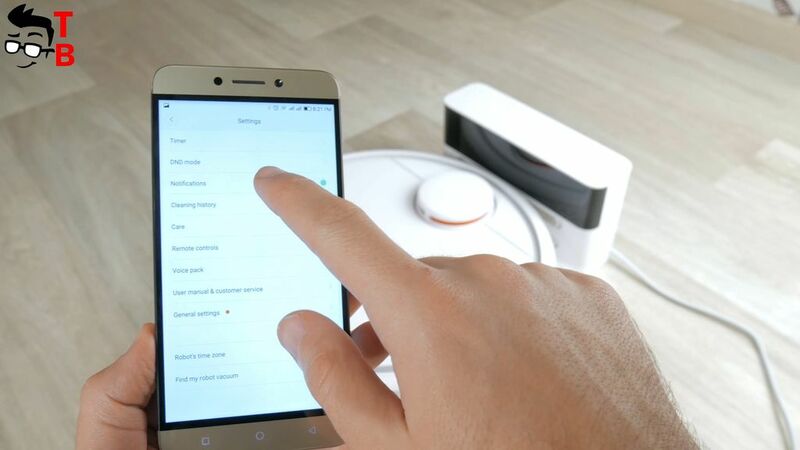 As you may remember, I already reviewed similar device called Haier XShuai T370. You can watch it by the link in description. 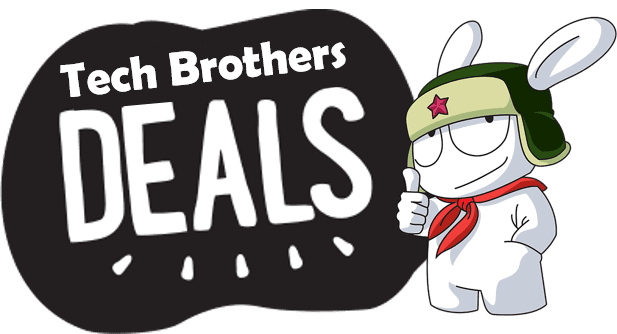 Xiaomi produces a lot of different gadgets, including smartphones, tablets, laptops, headphones, toothbrushes, and even vacuum cleaner. 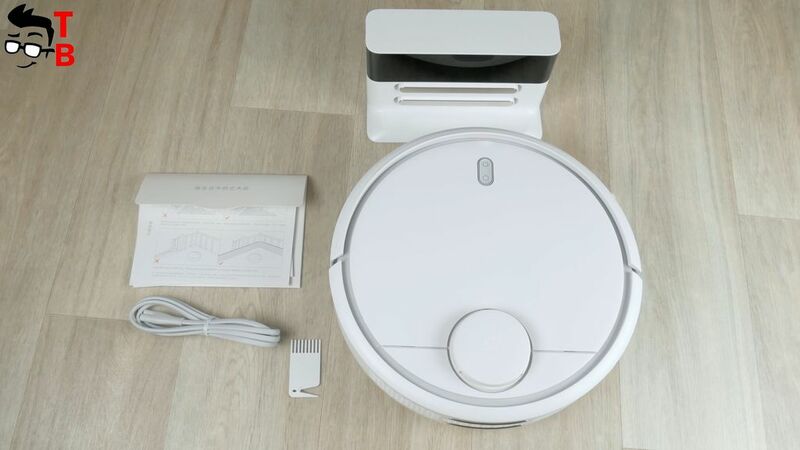 We received for review one of the most functional and affordable vacuum cleaners on the market – Xiaomi Mi robot vacuum cleaner. It has very nice design, many sensors and support for applications with different functions. So, let’s begin our review with unboxing. 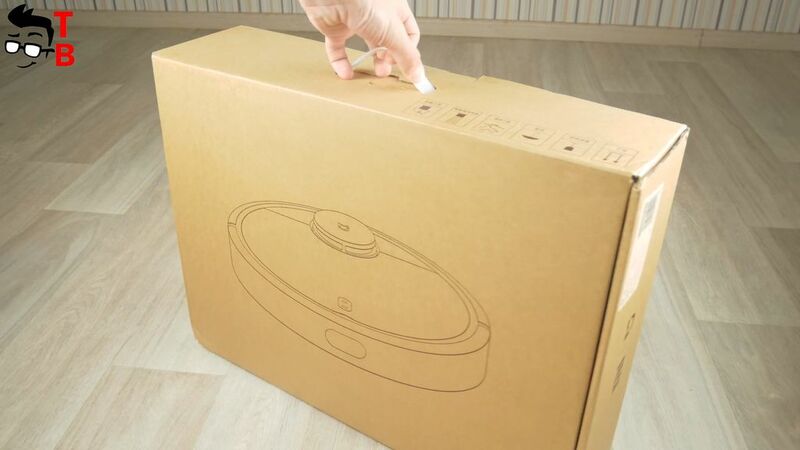 Xiaomi Mi robot vacuum cleaner comes in a cardboard box that looks like suitcase. 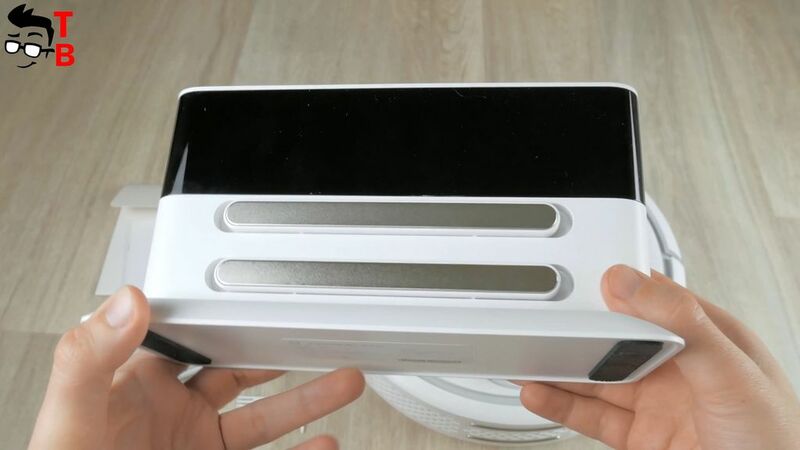 Yes, we are used that gadgets from Xiaomi have a pretty white box, like laptops or smartphones, but it is very difficult to do with such a big device like vacuum cleaner. 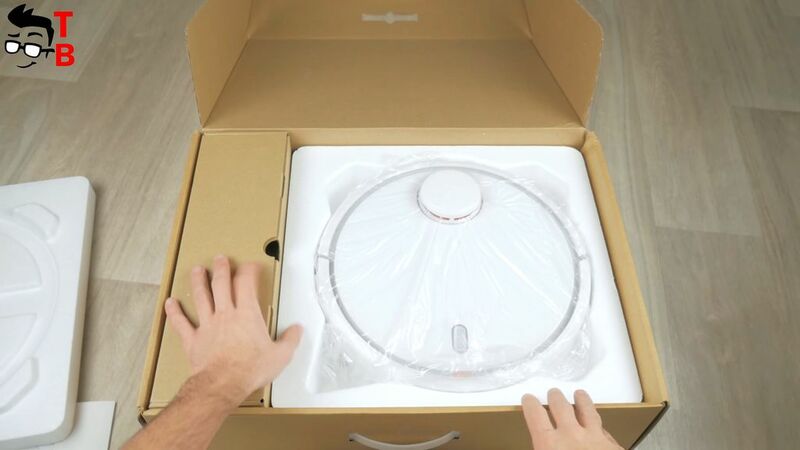 So, Xiaomi Mi robot vacuum cleaner, as well as Xiaomi 4K Drone, have a cardboard box with a handle at the top for carrying. 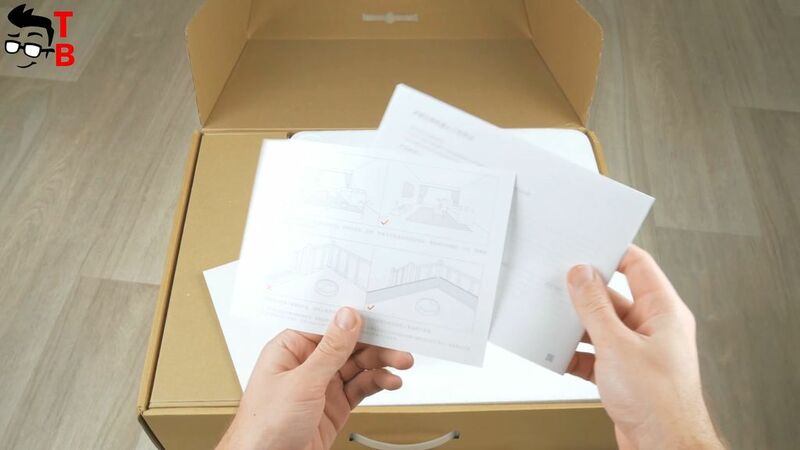 Inside the box we see user manual and other documentation. Unfortunately, all information is in Chinese. The vacuum cleaner in a transparent bag. Also you can find the charging base and power cable in a separate box. It is interesting that there is a “hairbrush”, which is designed for cleaning the central brush. Perhaps, that’s all. Yes, there are no additional brushes or even remote control, because the vacuum cleaner controls through the application on smartphone. I’ll talk about this later. Let’s start with design of vacuum cleaner. 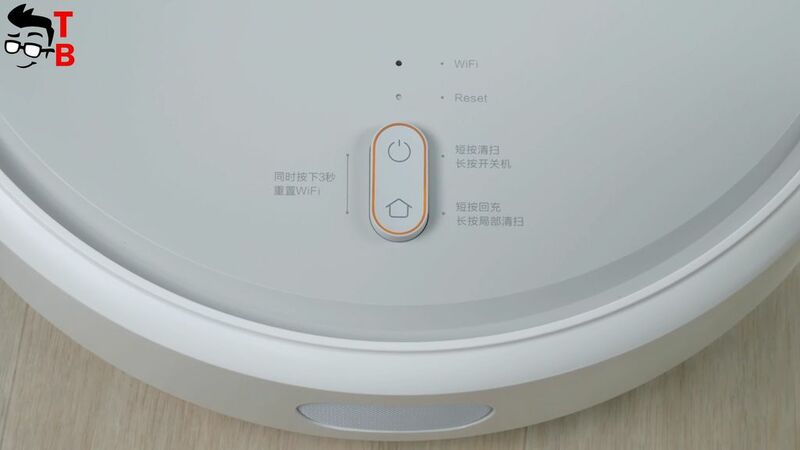 Xiaomi Mi robot has the usual round shape, just like many others robot vacuum cleaner. 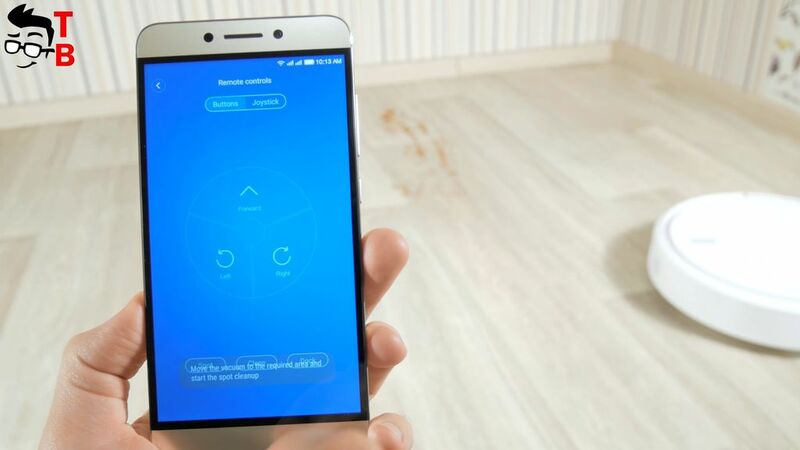 Xiaomi did not come up with anything new. 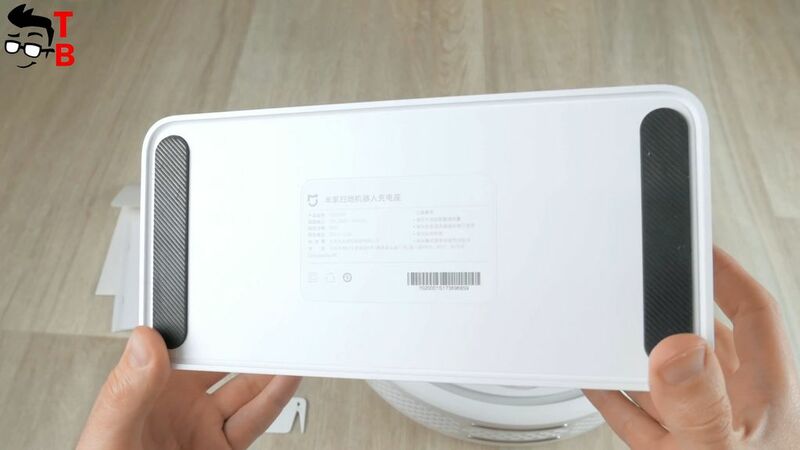 Nevertheless, we see Xiaomi’s special features, such as white quality plastic, MIJIA logo, and many other interesting details. You may notice that vacuum cleaner has a round protrusion on the top panel. This is a laser distance sensor. 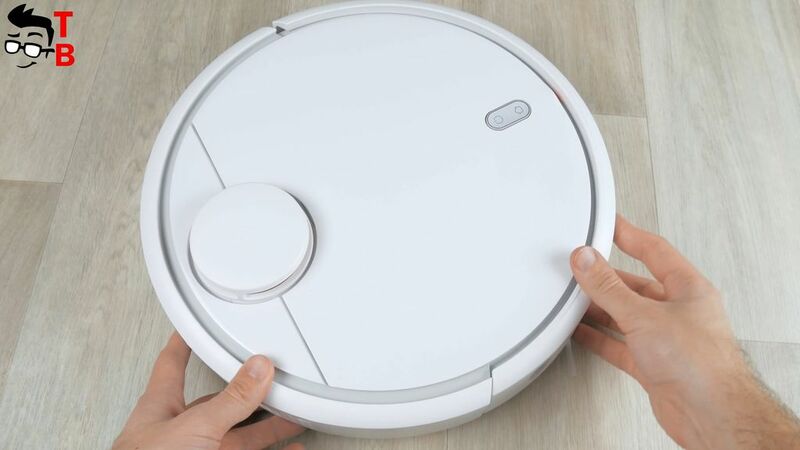 It rotates 360 degrees, so the vacuum cleaner builds a map of the room and the best cleaning route. Also on the top panel we see two buttons: power and home. The power button turns on/off the device, and also starts cleaning. 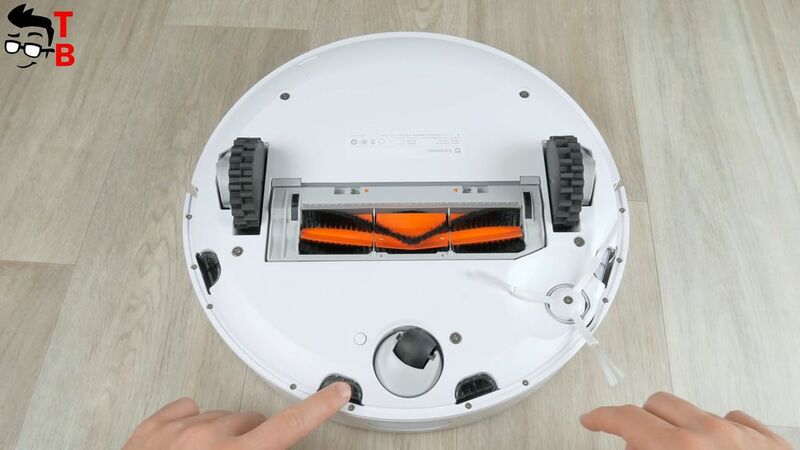 The home button returns the vacuum cleaner to the charging base. If you simultaneously press two buttons, then Wi-Fi connection will be reset. 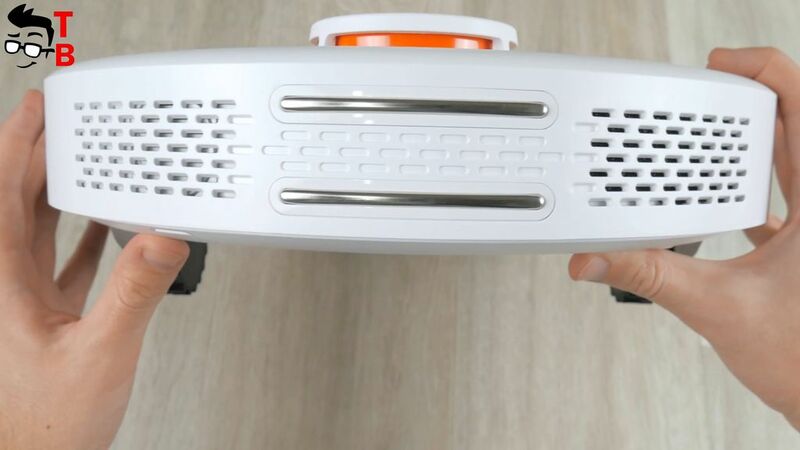 The back side has two contact areas for charging, as well as a grill for air blowing. On the left there is a speaker for voice notification. From the front, we see a small bumper with shock sensor and ultrasonic radar. On the left side there is a window with sensors from the walls. The vacuum cleaner approaches the wall at a distance of 10 mm and removes dirt and debris. Under the top panel there is a garbage container. Also you can see two indicators above the buttons: Wi-Fi and Reset. 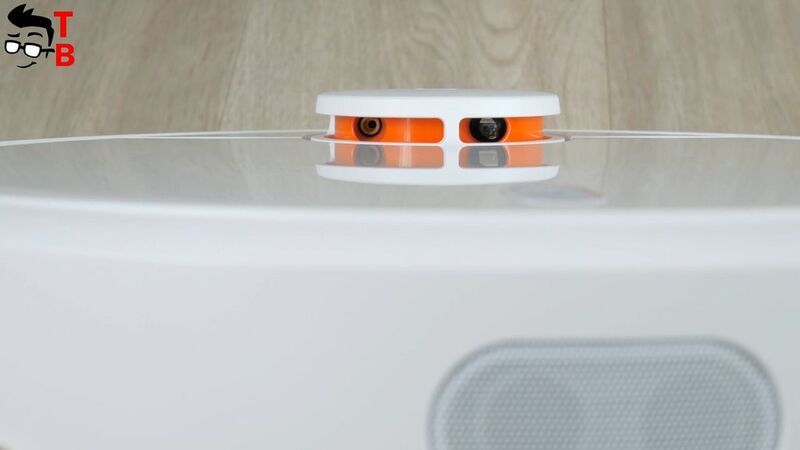 If the vacuum cleaner is connected to Wi-Fi network, then indicator lights up in blue, if there is no connection, then it flashes. 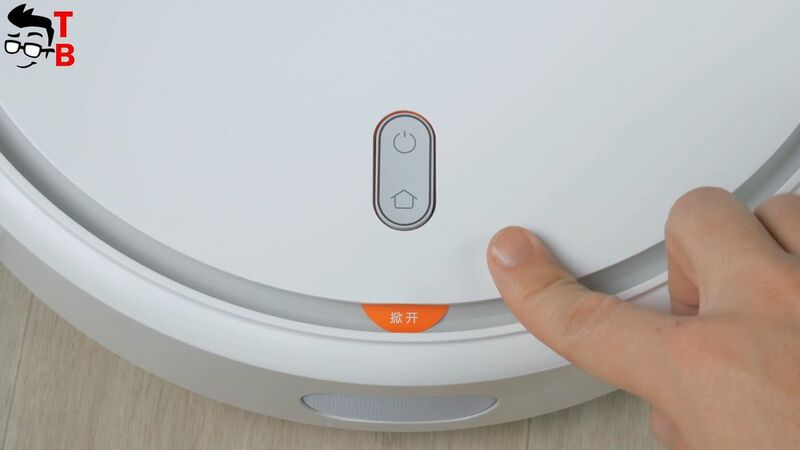 The lower part of Xiaomi Mi robot vacuum cleaner practically does not differ from other vacuum cleaners. However, I should note that Xiaomi device has only one brush, while the other vacuum cleaners come with two. The front part has a wheel and IR height sensor. If we talk about charging base, then it is big enough and heavy. It is made of matte plastic. In the lower part you can see the rubber pad, so the base does not slip over the surface. The power supply is built into the charging base. The power cable is disconnected, while the extra cable can be hidden in a special compartment at the rear panel. If we talk about specifications, then first of all I should say about battery. 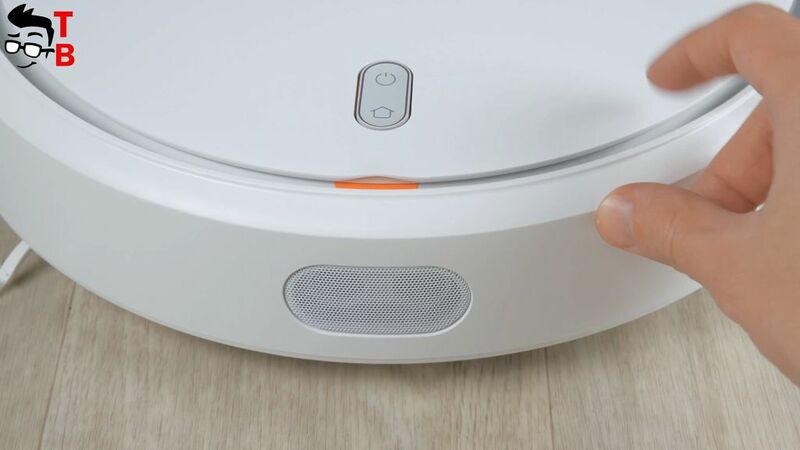 Xiaomi Mi robot vacuum cleaner comes with 5200mAh battery. The manufacturer says that this is enough for two and a half hours of cleaning. It takes about 4 hours to full charge the battery. I also want to note a large number of different sensors. In total there are 12 sensors, such as speedometer, sensor from the walls, gyroscope, drop sensor and others. The power of the vacuum cleaner is 55W, and the suction power is 2000pa. This is enough about specification, let’s move on to the most interesting – application and cleaning. 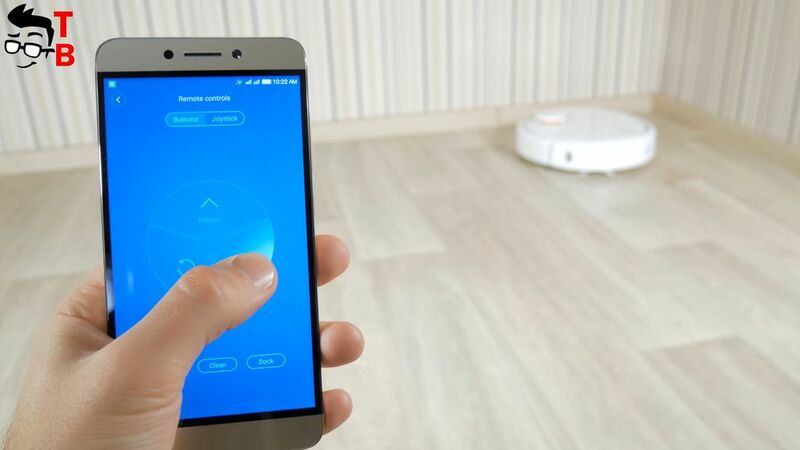 Xiaomi Mi robot vacuum cleaner works through Mi Home application. 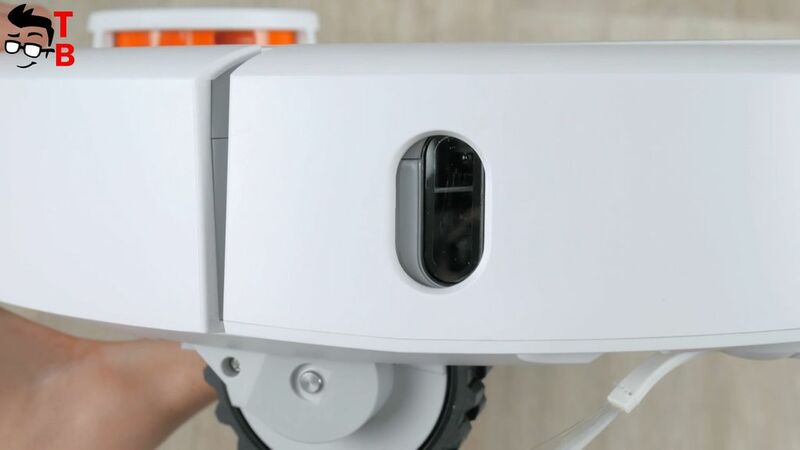 It can be familiar to all people who already use IP cameras, or other devices from Xiaomi. The connection is as usual – you log into your MI account, then you find the vacuum cleaner and that’s all. 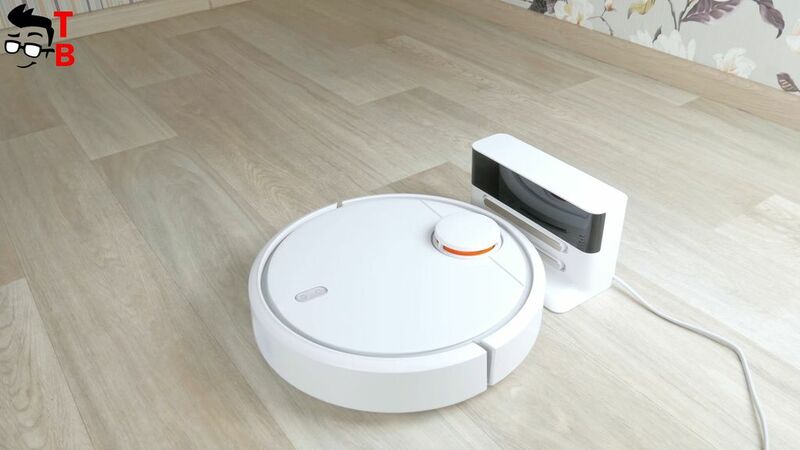 After you connect the vacuum cleaner, you will be offered training videos and other useful information. I recommend you to read and watch all videos not to miss the interesting functions of vacuum cleaner. 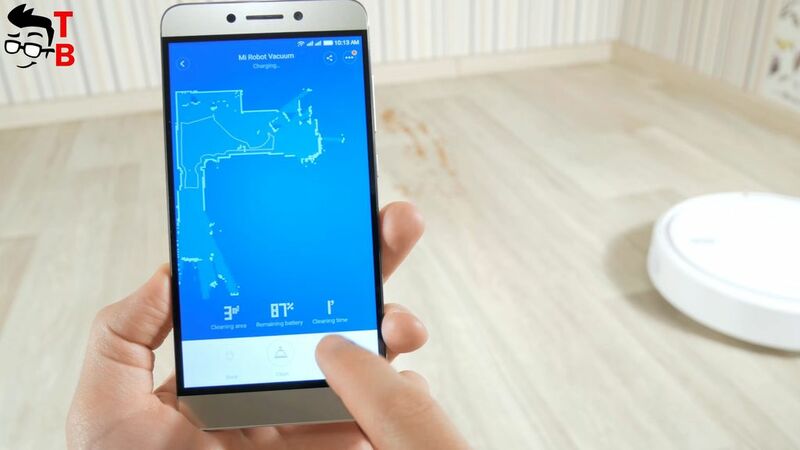 When you start cleaning, a map of the room appears on your smartphone’s screen. Here we see cleaning area and cleaning time. It is really useful. In the settings of application, you can find additional options, such as timer, do not disturb, cleaning history and others. And the most important part is cleaning. As I understand it, the vacuum cleaner offers two cleaning modes – local (spot) or automatic. Also you can choose manual control. 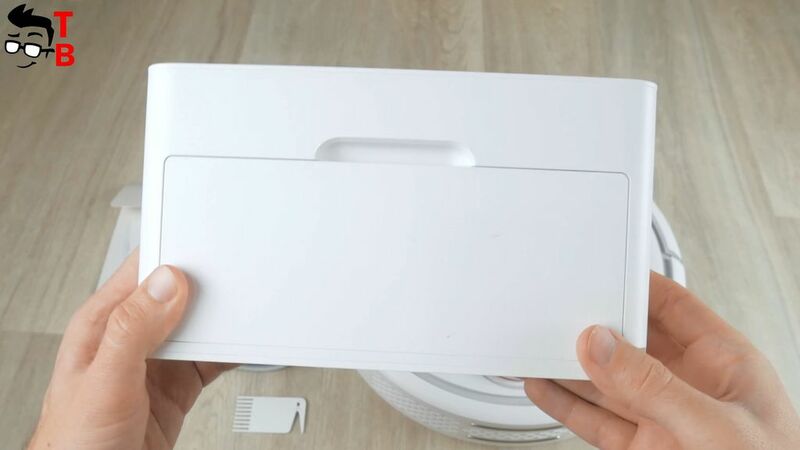 According to the manufacturer, the vacuum cleaner will clean until the room is completely clean, or until the battery is discharged to 20%, then it will return to the charging base. As a test, I scattered the rump to the floor, and started the robot for cleaning. You can see the result on your screen. The vacuum cleaner removed all the garbage in about 15 minutes and was discharged by 15%. I think this is a good result for a small room. Just imagine how many rooms can clean this vacuum cleaner in 2 and a half hours. I’m sure that your house will be clean! 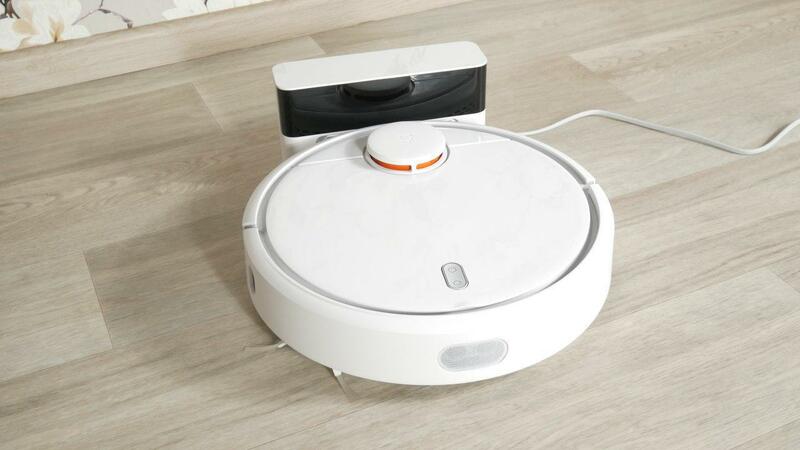 Xiaomi Mi robot vacuum cleaner is really stylish and high-quality robot vacuum cleaner. Of course, design plays an important role for the vacuum cleaner, because it is always on eyes, and your guests will see it. As for functionality, this device fully meets my expectations. 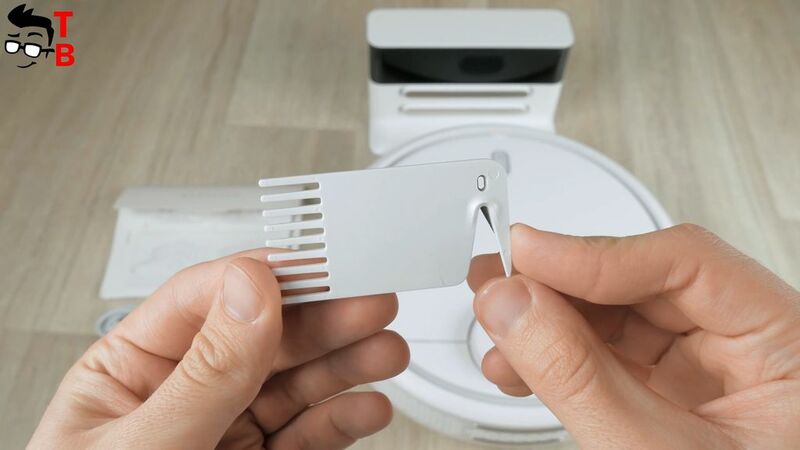 It offers two cleaning modes, as well as stunning room map. The application in English has a lot of functions. Among the disadvantages I want to note a modest packaging, because there is no remote control and additional side brush. Otherwise, this is an excellent house assistant. 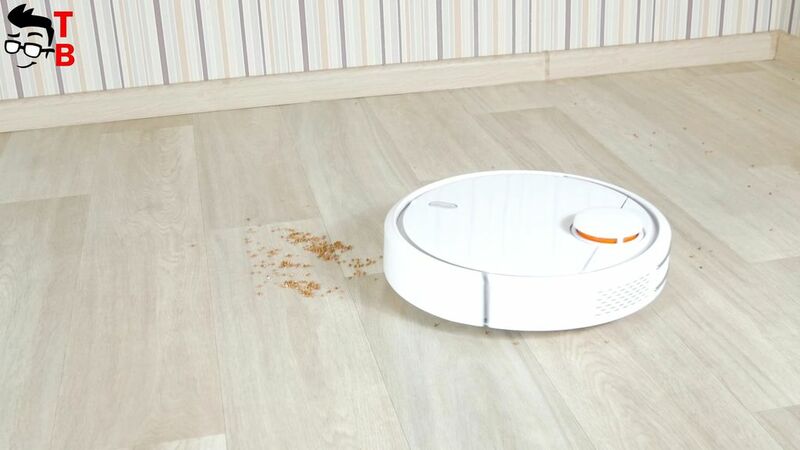 Now the price of Xiaomi Mi robot vacuum cleaner is about $300. I think this is an excellent offer for high-quality vacuum cleaner.